From the Home screen, navigate: Settings (located in the lower-left) > Accounts. Utilize the touchscreen (if available) or mouse to select on-screen options. 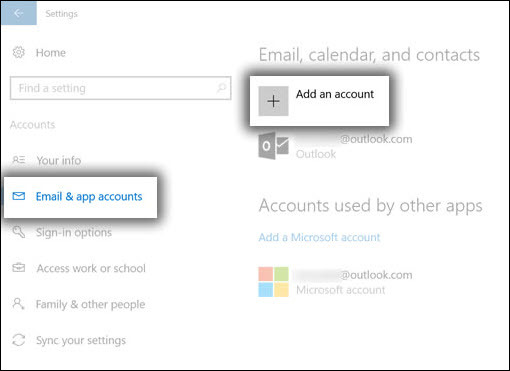 Tap Email & app accounts, then select Add an account. Select the account type (e.g. 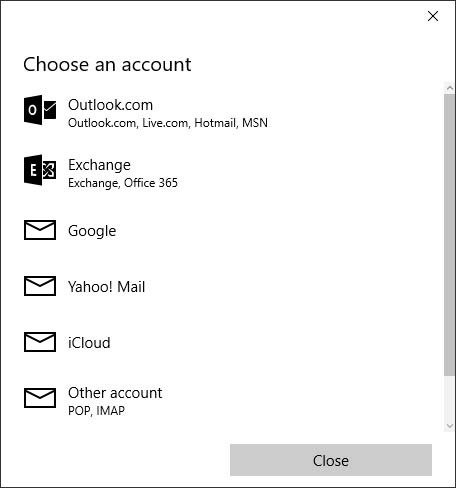 Outlook.com, Google, Yahoo!, Other account). 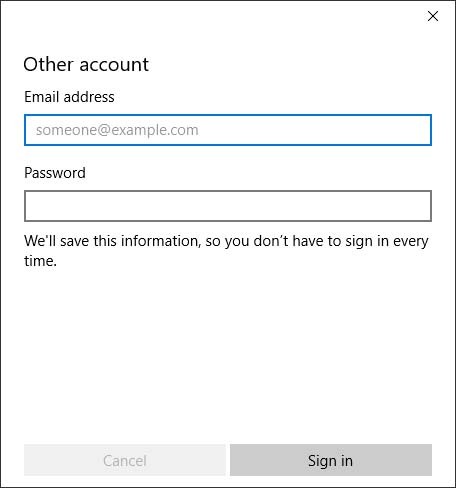 Enter the appropriate account credentials (e.g., email address, password) then select Sign in or Next. The steps to complete sign in may differ depending upon the account type. If account settings aren't auto-detected, the settings can be entered de forma manual.